A Kansas City school bus got into an accident after it overturned on the slick wintry, according to a Dramatic surveillance video obtained. Freezing drizzle is causing dangerous conditions in Missouri. 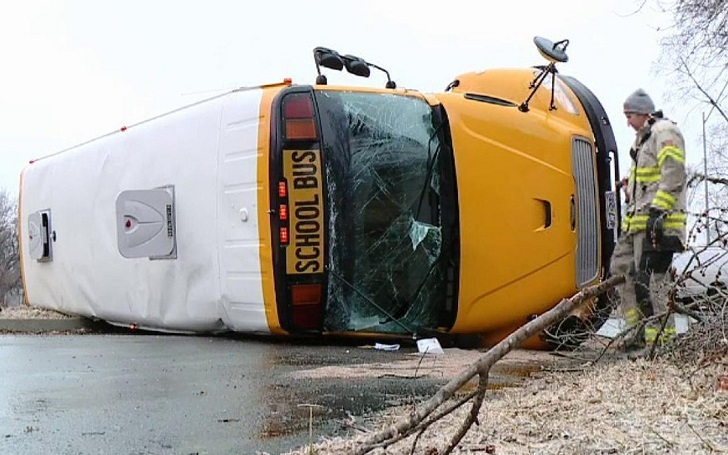 According to the FOX 4 Kansas City report, the Center School District bus was carrying three students, the driver and a monitor when it overturned in south Kansas City on Wednesday, February 6. A spokeswoman for the district said everyone was able to get off the bus. According to FOX 4 Kansas City, all of the victims of the bus were rushed to the hospital with minor injuries for precautionary checks. The publication reports that no serious injuries were suspected in the tragic incident. A spokeswoman for the school said the students went home with parents. Schools reportedly have canceled classes and evening events across the region. For more updates, stay connected sith Frostsnow.